You remember that time when the signature Kylie Jenner Matte lip was all the rage? Well, who am I kidding, it still is all the rage! But I’m talking about the time when the craze had just started and all that appeared on your YouTube feed were Kylie Jenner makeup tutorials, one after the other! It’s around that same time that I got insanely obsessed with matte brown lips and bought this lipstick that I will review and swatch today. It is NYX Matte lipstick in the shade Euro Trash. Read on to know more about it. The NYX matte lipsticks come in an all black packaging with a clear plastic casing around the bullet. The packaging is simple and classy just like any other drugstore lipstick. The shade Euro Trash is a neutral brown. It has warm undertones to it. It is a true matte lipstick. It does not have even a slight bit of shine or glossiness to it, which I really like about this nyx lipstick. The euro trash shade comes on the lips just as it appears in the bullet. The pigmentation is super, two swipes is all it takes to give that nice opaque brown color. 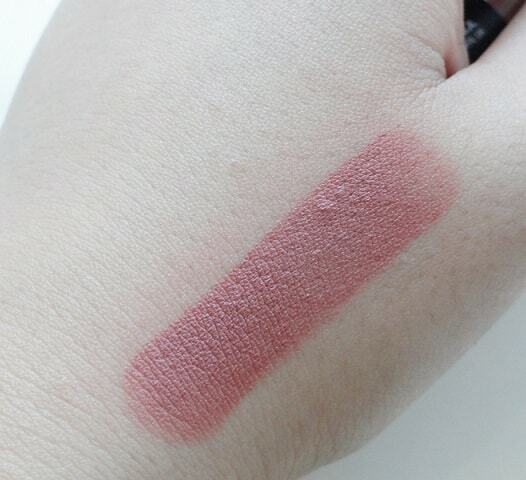 I like how the nyx euro trash color is so fuss free and can be worn on a number of occasions and on daily basis too. 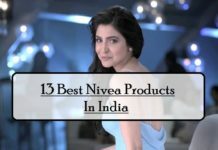 It is one such shade that goes with pretty much every kind of eye makeup and will probably suit all Indian skin tones too. I like this shade of nyx matte lipstick best paired with a subtle smokey eye. Despite the fact that this nyx euro trash lipstick is matte in texture, surprisingly it is not as drying on the lips as some of the other matte lipsticks out there. 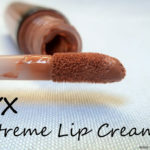 The texture is buttery soft and it glides on to the lips smoothly. However it does settle into the fine lines on the lips and even accentuates then a bit. It stays on me for a good 5 hours and it does not really leave a stain behind. 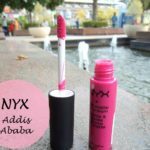 I don’t mind reapplying this nyx matte lipstick. 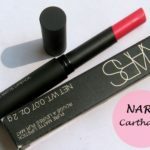 Considering it comes for a mere INR 530, this is a great option as compared to its more expensive counterparts like Loreal and even MAC because the quality of NYX matte lipsticks is at par with aforementioned lipsticks. 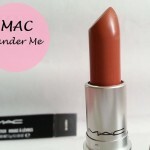 It is a great lipstick for everyday wear and can also be the MLBB shade for many since it is a neutral shade. 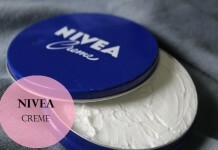 Easily available in India, both online and at Sephora or at other similar stores that sell imported cosmetics. True matte lipstick. Does not have any glossiness to it. One such shade that will suit most Indian skin tones. Although it’s a matte lipstick, the texture does not feel drying on the lips. Does not feel cakey or heavy on the lips. 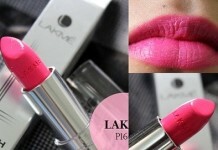 Affordably priced lipstick and total value for money at this price considering the great quality. Stays on for a decent amount of time. 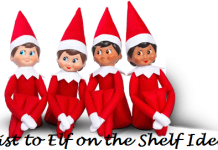 It is not a very unique shade and is in fact available in different brands too. 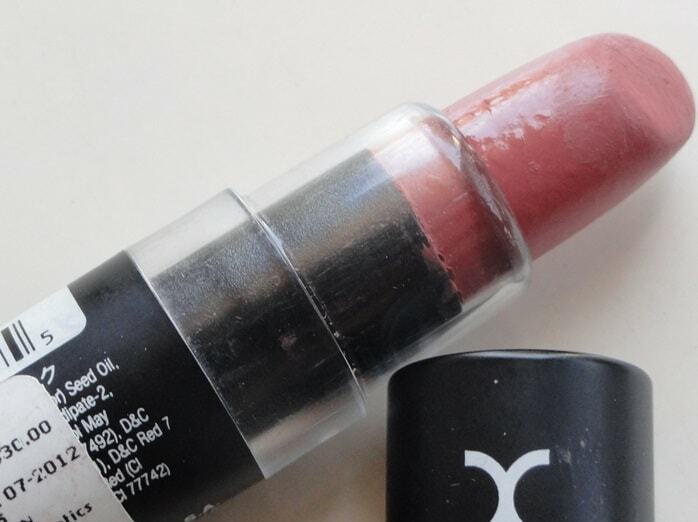 The texture may be the only thing that sets it apart from other lipsticks. 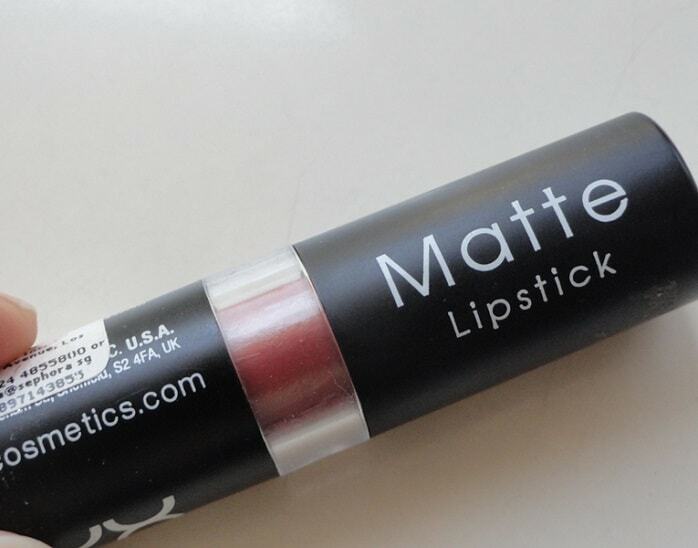 People who don’t like matte lipsticks need to steer clear of this one. The packaging seems a little flimsy and the cap of the lipstick doesn’t click, rather it comes off. Not a very good lipstick for keeping in the handbag. It does accentuate fine lines on the lips. 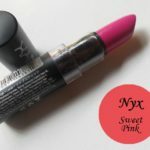 Recommendation: Nyx matte lipsticks are a great range of matte lipsticks. 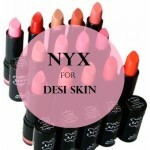 They come in a wide selection of colors and are a great choice of everyday wear lipsticks. Euro Trash in particular is a great shade. 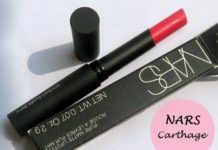 Matte lipstick which is creamy in texture and stays on for a decent amount of time. What more can one want? 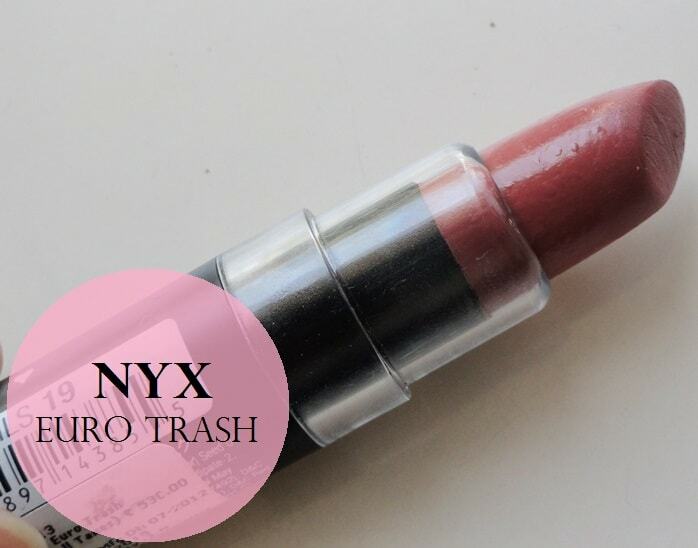 Have you used NYX Matte Lipstick Euro Trash? Share your reviews with us. Pretty neutral shade for college and office wear! Though it will wash me out.